So, over the last few years we have worked on numerous projects that involved a bathroom renovation, and one of the most common dilemmas is; should I get rid of the bath? There are many of us that do not have the luxury of a second bathroom, so we have to fit it all into one. This leaves us with the decision of bath vs shower. I’m hoping to tackle some of the issues and questions around this common dilemma….. 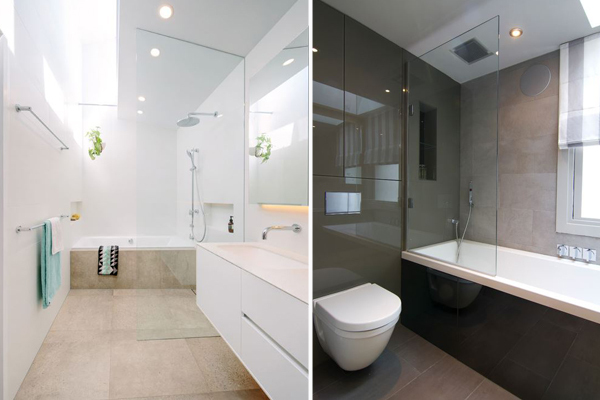 If you are lucky enough to have a pretty large bathroom, then you shouldn’t have to compromise. 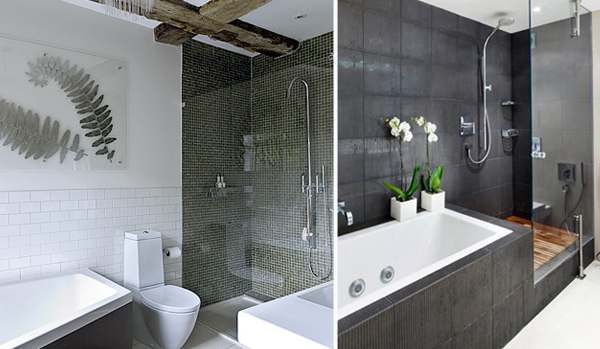 Plan the space well and try to incorporate both a bath and a shower. 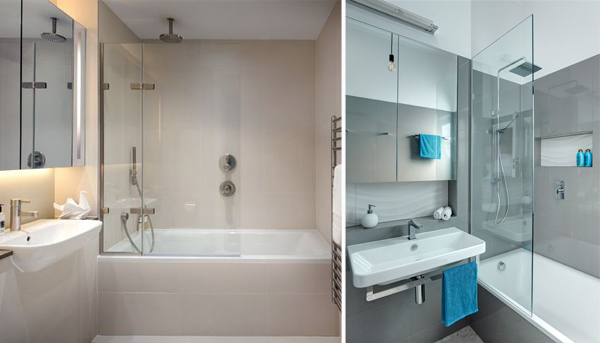 If you are a bit tighter on space, then it would be wise to incorporate a shower in the bath. There are really lovely fixtures and fittings available now, so you do not have to compromise on the design with this option. What are the thoughts behind this? 1. Long term planning – if you do not already have children, do you plan to have them in the future? Lets face it, it will be much easier to bathe them in a bath…. 2. Resale Value – when looking to purchase a home, most people will prefer to have the option of a bath. 3. Treat Yourself – With today’s hectic lifestyle, its always nice to have the option of soaking in the bath after a long day at work. If you have the option of both a bath and a shower, how do they stack up against each other? An average bath will hold 80 litres of water before overflowing. So we can assume that a full bath will hold 75 litres and a half bath will hold 40 litres. A conventional electric shower uses 62 litres of water during an average 8 minute shower. So, it could be argued that a bath uses less water, or a shower uses less water. It really depends on the level of water used in a bath and the amount of time that you spend in the shower. Which costs less to use? Again, this will come down to personal circumstances. Both will require the cost of the water, along with the cost of heating the water. So if you are a very efficient shower taker, then this is the way to go! So there are pro’s and con’s to both and you really need to figure out what will work best for you and your family. However, if you are planning to sell your house down the line, then I would strongly recommend to hold onto the bath.